Blank Page Muse: "KISS" Keep it Simple Stupid! 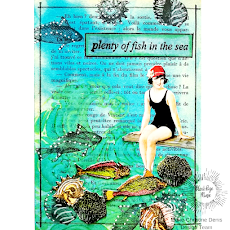 How are you all enjoying this months stamping inspiration? 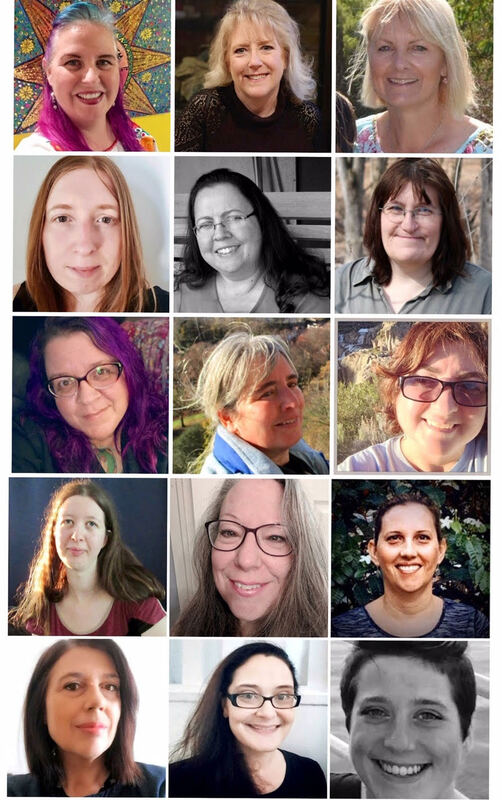 Always lots of wonderful and amazing creations by the DT here at the Blog! 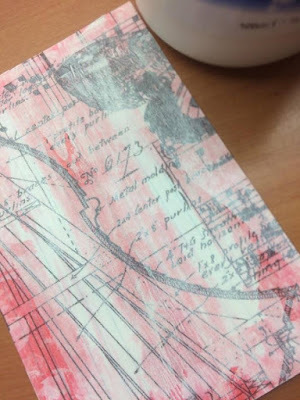 Today I am sharing the process for making my altered index card with my "WORD" for the Year! I've never actually had a "word" for the year but this year I really needed this word so I decided to make a little piece of art with my word to pin up right next to my computer and crafting area! 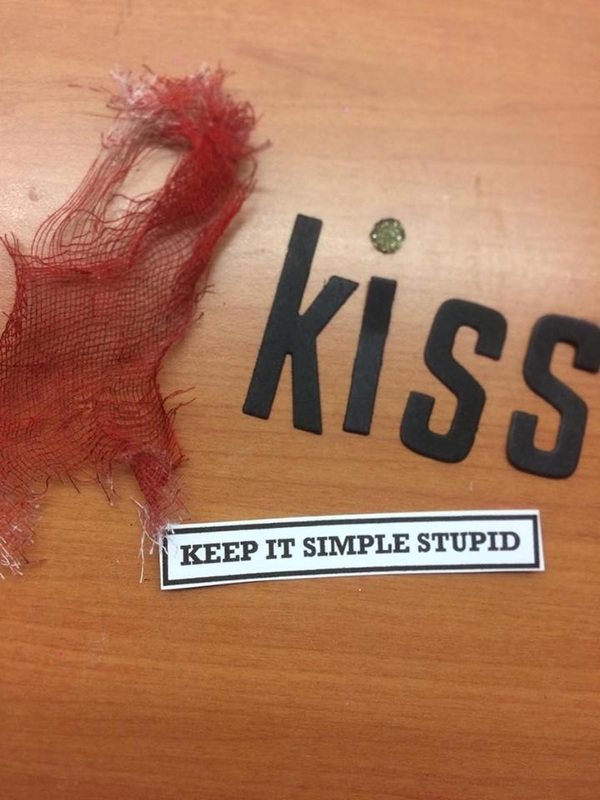 My word is "KISS" Keep it Simple Stupid - we can over-complicate things and just make life more stressful so this is a reminder to keep it simple and work through things day by day! Hope you gain some inspiration and maybe share your "word" with us!! 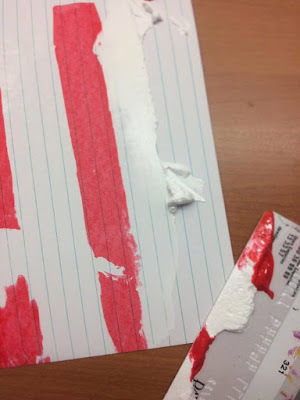 Start with your index card, acrylic paint and old credit card and add "dobs" of paint to the top of the card. Use the credit card to drag the paint down the card, cover the entire card with the paint. 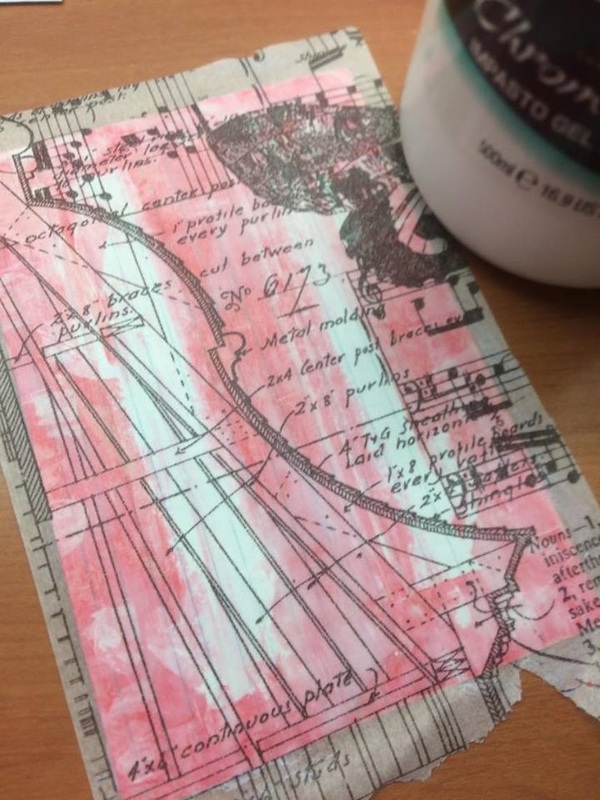 Tip: use the left over paint on the credit card to prepare another index card or journal page for use another day - makes creating quicker! The pic shows the entire card covered with paint - no need to be neat - it looks better messy! Allow to dry. Apply a layer of gel medium to the entire card with a spatula or paintbrush and cover with translucent patterned tissue paper - smooth out and make sure it has adhered. Allow to dry and then trim the edges. 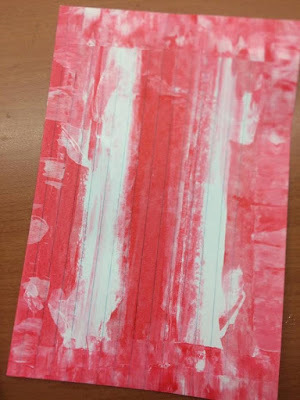 Use the spatula to spread a very thin layer of gesso over the card - no need to cover the entire card - it's just to "tone down" the paint colour ready for the next step! Time to have some fun with the Blank Page Muse "Lips" Stamp! 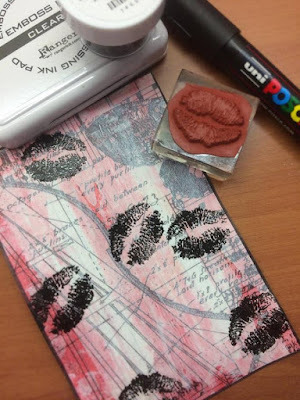 Use your embossing ink pad and randomly stamp the Lips over the card background. Emboss with fine black embossing powder. 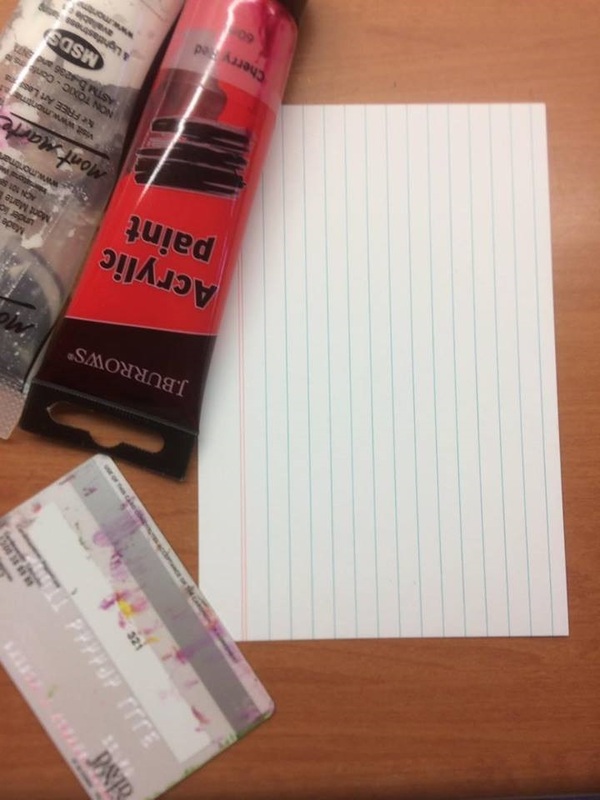 Use a black Posca pen to edge the card. Lastly gather your finishing elements including the die cut letters, computer generated wording, cloth scrap and gemstone. Arrange on your background, adhere and you have your finished inspirational word to display and take note of!!! Thanks for joining me today - have a great week! Yes! Yes! Yes!!!! You hit the nose on this one! This IS FABULOUS!! I LOVE it Sharon!! I love it! So very funny and dead on cool!